Hello Folks, Coconut water has so many qualities and the best is electrolytes!!! It makes the perfect sports drink and accompanied by fruit ice cubes, it is so refreshing and fun, the kids and adults will love it!!! Give it a try today! Fill and ice or popsicle tray with coconut water. 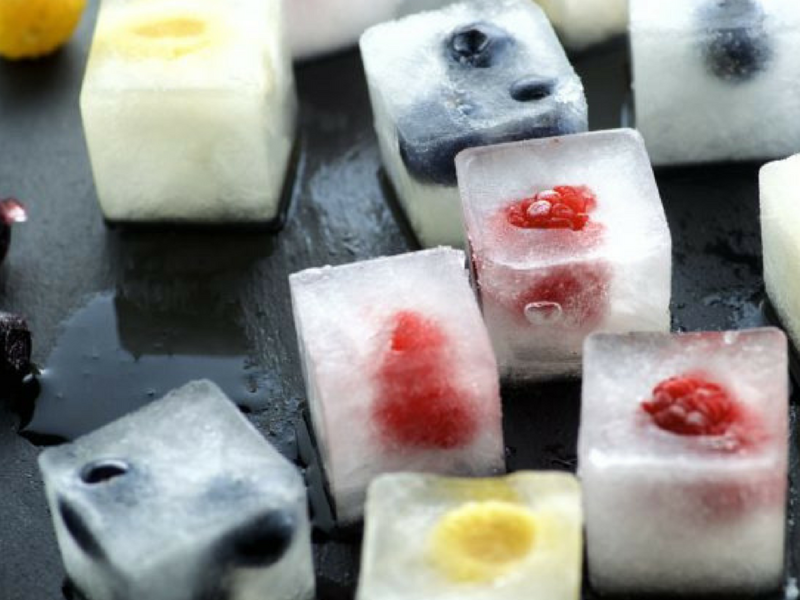 Add your favorite fruit and place in the freezer until frozen. Enjoy! P.S. Stay tuned for tomorrow’s exciting hydration recipe!